The other seven teams in the 2017 Maui Invitational are California, Chaminade, Louisiana State, Marquette, Notre Dame, Virginia Commonwealth and Wichita State. The Wolverines last played in Hawaii during the 2011 Maui Invitationl and this will be its sixth trip to the tournament. Find the full University of Michigan press release below. In conjunction with the Maui Jim Maui Invitational, the University of Michigan men’s basketball program announced today (Thursday, Nov. 12) the Wolverines will be one of eight teams participating in the 2017 championship round of the annual Hawaiian tournament held at the Lahaina Civic Center on the island of Maui. The 2017 tournament dates are Nov. 20–22. Joining the Wolverines during the annual November holiday tournament will be California, Chaminade, Louisiana State, Marquette, Notre Dame, Virginia Commonwealth and Wichita State. Michigan will be making its sixth trip to Maui after competing in events in 1985, 1998, 1994, 1998 and most recently in 2011. U-M carries a 10-4 overall record that includes tournament championship in 1985 and 1988. 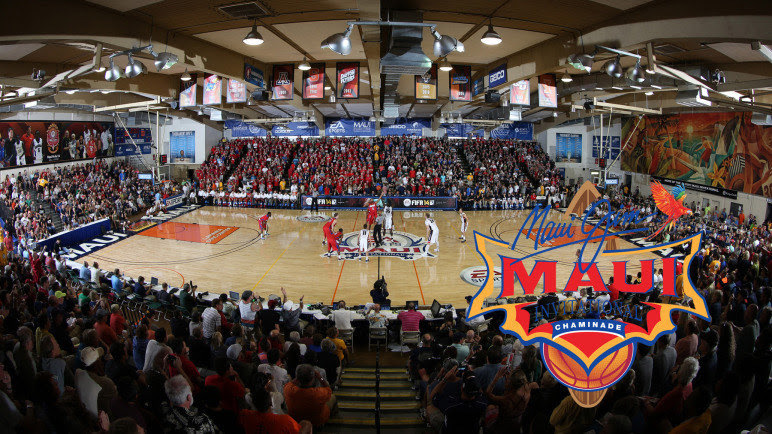 Since the inception of the Maui Jim Maui Invitational in 1984, 108 schools representing 26 conferences and 40 states have competed in the event. Six schools have won the national championship after making an appearance in Maui earlier that season.